California Senate Bill 594 is set to incentivize private partnerships with public schools through bonds. The state would create the “California Career Pathways Investment” which would issue workforce development bonds to expand career technical education opportunities. K-12 school and community college districts would create a trust fund specifically for the development of these programs. Businesses that would seek these bonds hope the return on investment reaps high yields. By investing in career technical education at public schools, businesses would have a larger pool of better prepared workers. The state benefits in two ways: bonds paid back with interest and higher skilled workers lead to better tax revenues. The bill is essentially California’s push for a skilled workforce, much like the federal government’s push for STEM education. If passed, $250 million will be put into bond funds in the 2013-2014 budget to set things in motion. Priority funding would go to businesses who wish to implement programs in districts with higher unemployment and lower graduation rates. There is no formal opposition to the bill as of now. The bill’s analysis records no entities bringing forth an opposing argument, but that doesn’t mean there aren’t potential issues with the legislation. Any public-private partnership in education is going to be seen with a skeptical eye because making their mark in public schools will bring up concerns about brand exposure. Certain companies might draw up narrow curriculum that pertains to certain products that may not be applicable to others. For example: A car company investing in career technical programs may develop programs based on the systems and functionality of its product. Automotive classes could potentially be instructing a narrow set of skills and concepts specific to its cars. However, some of the programs lead directly to hiring efforts by the companies which may justify this type of training. 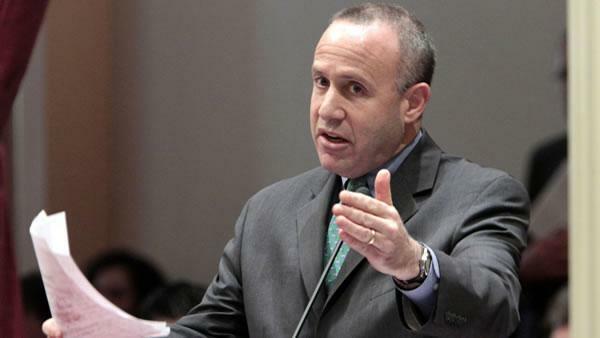 Steinberg has been a lead author in many of the Senate’s education bills, including SB 594. He has been pushing for the expansion of online courses into higher education. A common theme in his education bills has been the fostering of public-private partnerships. Career technical education may provide opportunities for students who don’t find the standard curriculum enticing. Direct work experience and contact with employers are some benefits, which may help with unemployment in the long run. However, private entities in public education present issues with business and brand promotion, and curriculum specific to business products. From the perspective of bond issuance, it’s a mutually beneficial endeavor for the government and businesses. The government has bonds paid back with interest, unemployment can decrease, and tax revenues may increase; businesses can develop prospects for high-demand positions. SB 594 passed through the Governance and Finance Committee and the Education Committee. It is set for a hearing on May 13 in the Appropriations Committee.